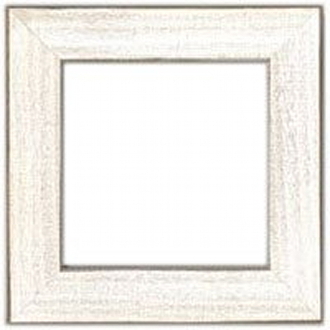 Wooden Frame Antique White. Front opening 5.5" x 5.5". Back opening 6" x 6". Overall 8" x 8". Inside and outside edges are sanded to give a distressed appearance. Includes dowel for easel display.